In Part 1 of The Les Paul Quest I wrote about the Provision Les Paul my friend was contemplating on getting. But you know, contemplate on something for too long and it'll grow legs and walk away. With the Provision Les Paul snapped up by another buyer, Sherman sent me an email with pics of a Les Paul from the far, Far East -- Thailand! Thai-made guitars are a fairly recent entry into the guitar market and I'd tried a couple of bolt-on strat and tele-style guitars over the last couple of years. Both were made by one Prasit Pariyarungsri. The guitars were pretty well-made and the attention to detail was definitely there. But because they used indigenous local woods, they tended to be extremely heavy -- imagine a tele-style axe with a bolt-on neck weighing in at almost 9lbs! That would be on the heavy side even for a regular Les Paul. And at that kind of weight a guitar is just not going to resonate. The two guitars I tried felt like the pickups were speaking directly to the strings, with no contributing acoustic resonance from the body and neck at all. Which is fine, maybe even desired, for heavier rock and metal, which would appeal to a sizeable chunk of the Thai guitar-buying market. 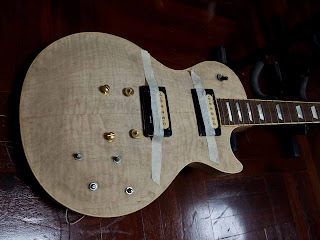 From what I understand, Prasit apprenticed under another Thai guitar maker -- whose name eludes me now -- who also made a variety of solidbody guitars in the style of Gibson, Tom Anderson, Fender and PRS and marketed under the brand 'POT'. And browsing the NNG Guitars website -- Prasit's current guitar company -- it looks like they are taking a similar approach. And I appreciate the guy's honesty about the ratio of wood that makes up the body joint. 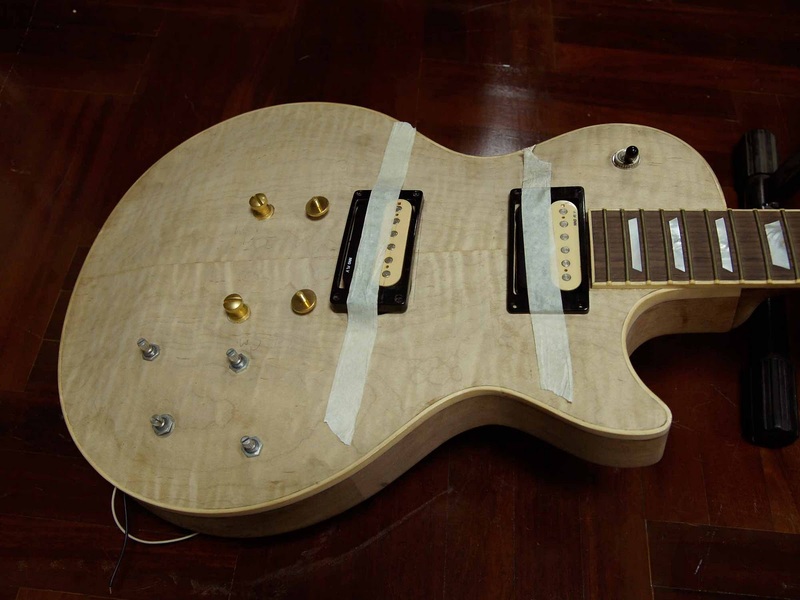 Try getting the Gibson Custom Shop to openly offer up that kind of information! 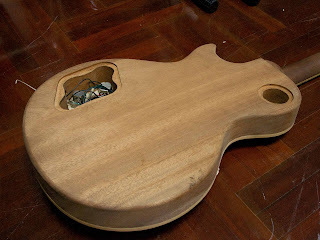 Prasit's current approach, now that he has access to Honduran mahogany, is to bring his Les Paul guitars in at between 7.5 to 8lbs. I'm really digging the real mother of pearl inlays! 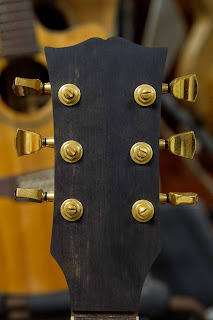 Why Gibson continues to use cheap pearloid plastic for the inlays on their Les Paul Standards continues to elude me. And it looks like NNG Guitars is getting their own Alnico humbuckers custom made as well. Interesting. Most of us just love ebony wood as a feature strip in our woodworking crafts. The Gaboon ebony is the one member of the family that is generally a pure black with occasionally red brown streaks.